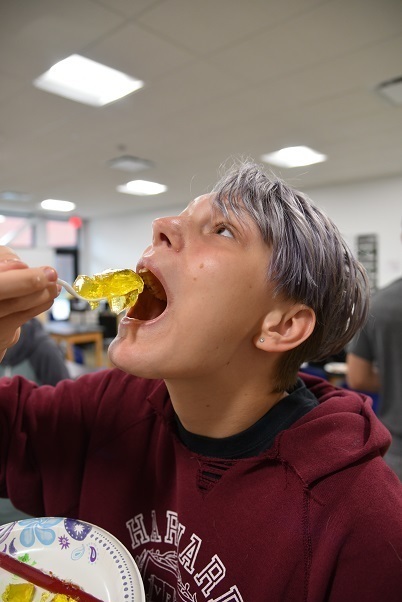 AAA High School Students eat their homework! 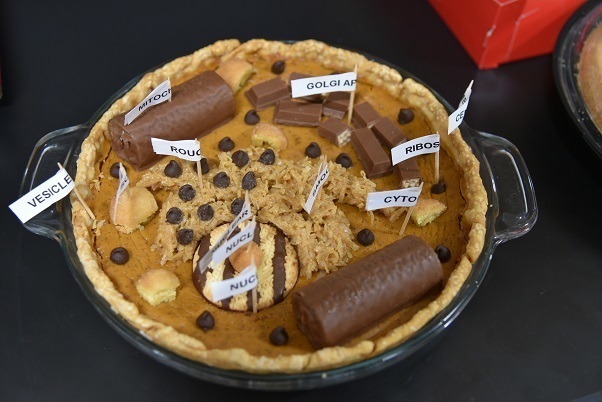 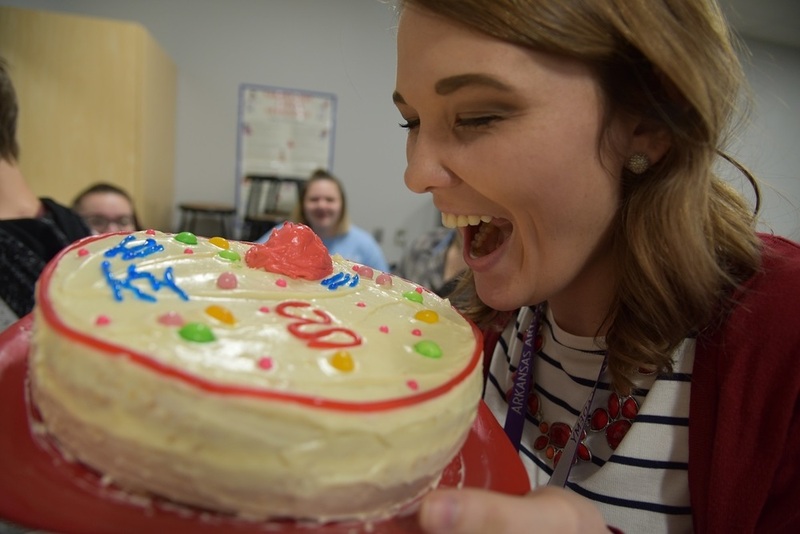 Today students in Ms. Goolsby Human Anatomy and Physiology class presented their projects of human cells, then ate them…. 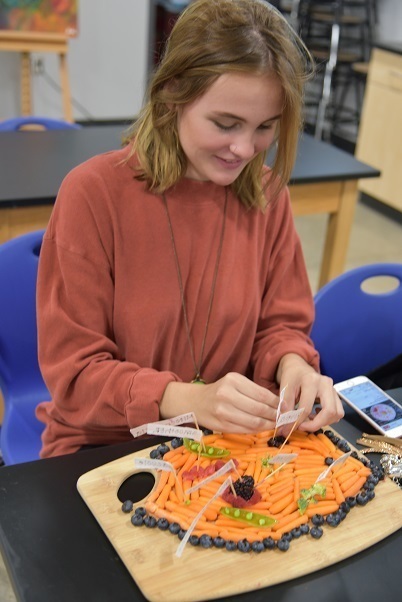 Fear not, the students have not been contaminated with a zombie virus rather, Ms. Goolsby designed this lesson by integrating the arts and culinary disciplines. 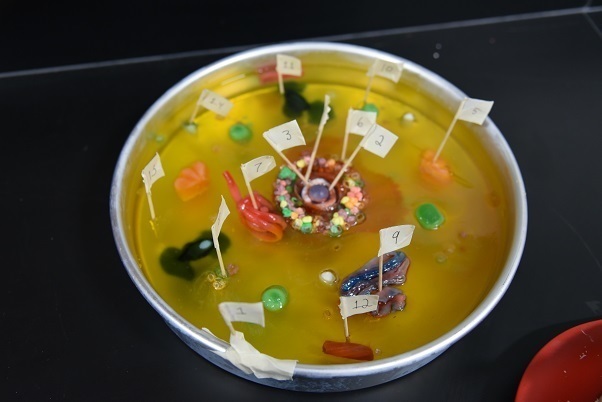 Students studied the anatomy of human cells then were required to create a sculpture from a delectable material. 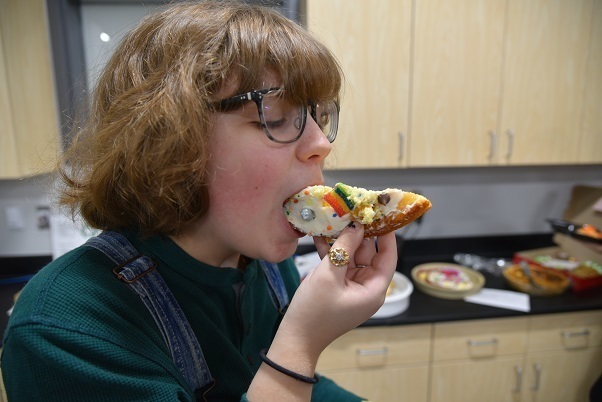 The results were presented, analyzed, graded then the “cell-abration” began with the tasting and consumption of each specimen! 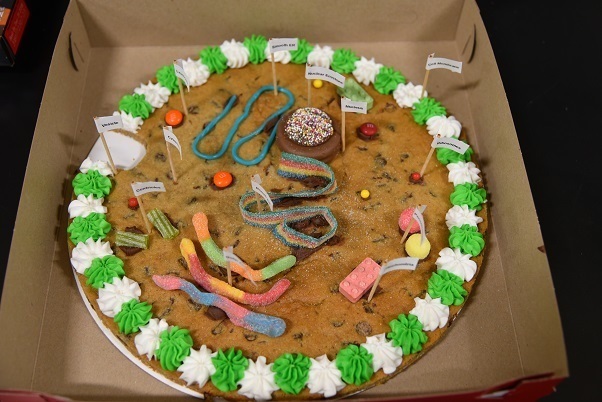 Cellular creations came in the forms of pizza, pies, sandwiches, jello and other artistic eatables.